It is no secret that I am an HTPC enthusiast. However, not all applications require the use of a PC to be the main ingredient in a home theater setup. In some cases, as much as I would like to admit otherwise, a media streamer can do the job just as well, if not better. To fulfill this need, a slew of manufacturers, from Logitech, WD, Linksys, etc, have created devices that do just this and adding to this list is Pivos. Pivos, a company that promises to change your mind about quality, functionality, and price. 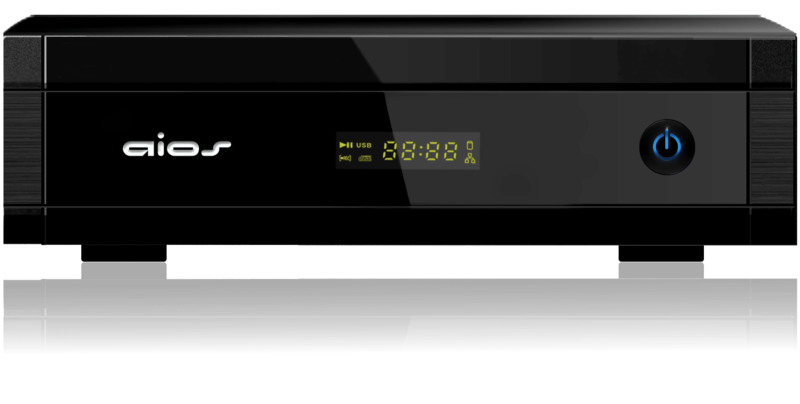 Enter the Pivos AIOS HD Media Center. The AIOS HD can deliver more than just a media streaming experience. The AIOS HD features YouTube, Picasa, Flickr, Yahoo Weather, Finance, Internet Radio, CNN, NBC, RSS Feeds, and much more. Web surfing is handled by an HTML5 compliant browser and is all powered by 500MHz MIPS processor. The AIOS HD also provides the ability to install a hard drive for data storage (for those that do not have media stored in a central location, ie NAS or Server). AVI/ MKV/ TS/ TP/ TRP/ M2TS/ MPG/ MP4/ MOV/ M4V/ VOB/ ISO/ IFO/ DAT/ WMV/ ASF/ RM/ RMVB/ FLV/ XVID/ DIVX 3,4,5 for up to 1080p resolution.